Why is Cyprus our home base? 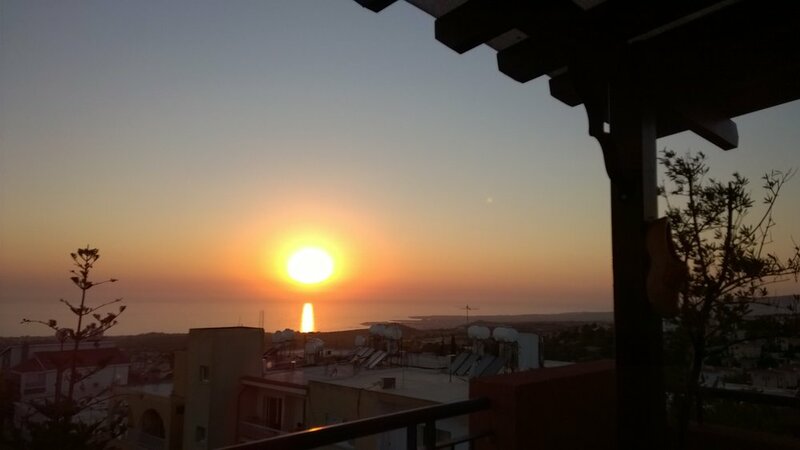 Since ten years our penthouse apartment in Cyprus is our adopted home base. Friends and family keep asking: ‘Why?’. Well, let me try to explain. Cyprus is the third largest island in the Mediterranean Sea and its location in the far eastern part makes it a Middle Eastern country. Since 1974 divided in a Turkish and Greek side, our home is in the latter, being part of the European Union with the Euro as its currency. Although the first language is Greek, we get around without any problems speaking English. 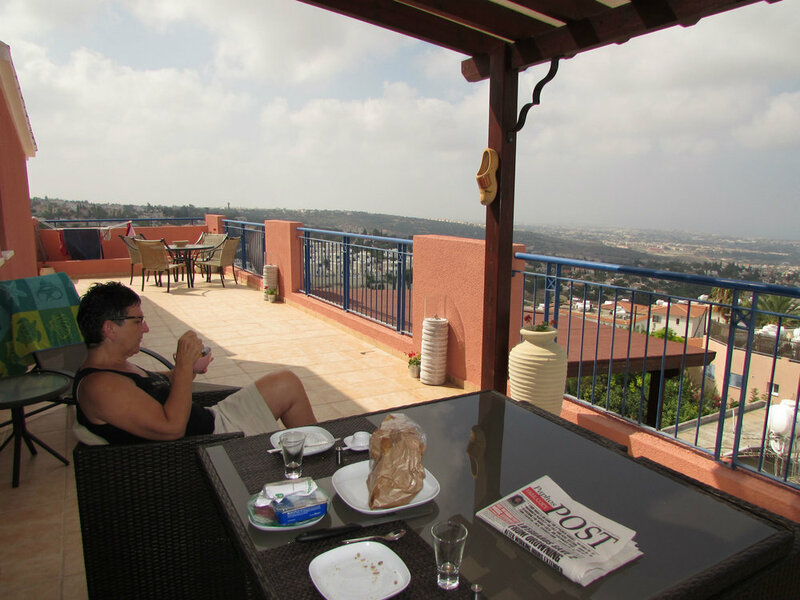 Our apartment is on top of a hill, 300 meters above sea level, overlooking the village of Tala. From our terrace we have a commanding view over the sea and we enjoy spectacular sunsets across the Akamas National Park. Here the Troodos mountains, peaking to 1950 meters above sea level, fall in gentle hills on the west point of the island, cut by valleys covered with olive trees. In the distance we can see the city of Paphos (40.000 population) and its roman built harbour guarded by the lighthouse. This is where the hotels are catering for the many tourists. It is also the administrative centre of western Cyprus with shops, museums, business offices, post office, banks and municipality services. Across the island there are many historic monasteries. The orthodox church has a great deal of power. It owns a lot of land, wineries, businesses and the political influence cannot be underestimated. Did I mention the church owns the largest beer brewery (KEO) in the country? The two modern airports in Paphos and Larnaca provide ample direct connection to Europe and the Middle East. 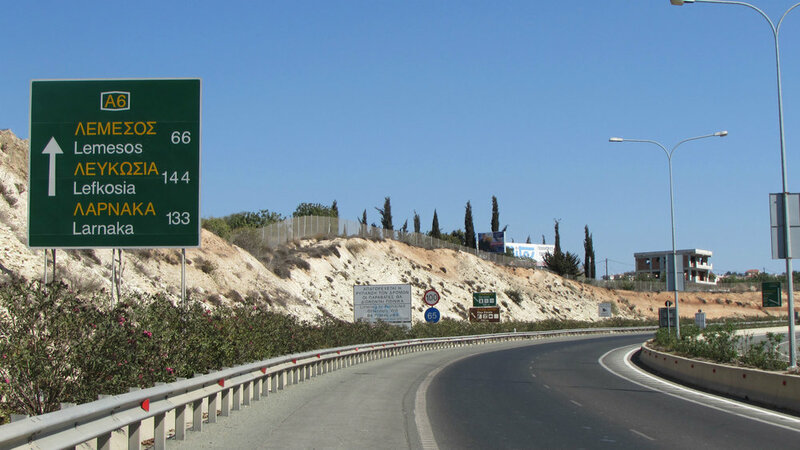 When we arrived from Kuala Lumpur in Larnaca, we took the only highway on the island linking Nicosia, Larnaca and Limassol with Paphos. It is a well-built four lanes with groomed oleander grown medians and marked exits in English and Greek. We enjoyed the scenic 90 minutes’ drive, skirting the rugged coastline and cutting through the parched mountains. 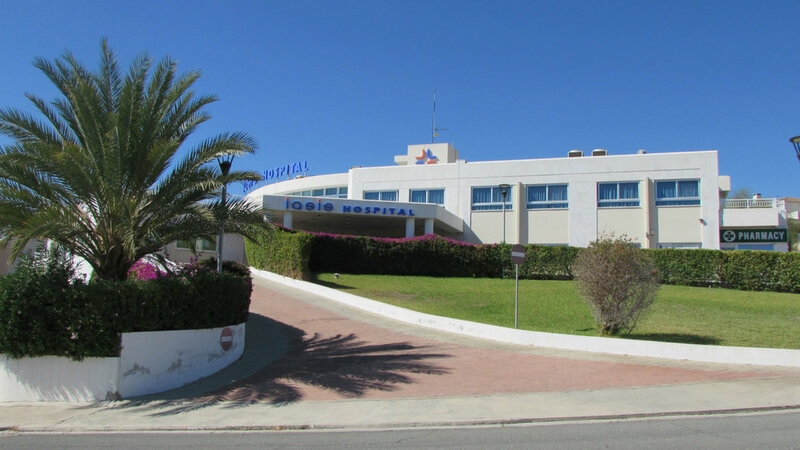 In the supermarkets we find everything we need and the private hospitals provide medical service on par with north European hospitals. At the local roadside kiosk I buy the daily newspaper. When I read the daily Cyprus Mail almost everyday something is written about the ‘Cypriot Problem’, the division of the island in a Turkish and Greek side. It is still an important issue in the minds of the people and the articles mainly put the Turkish side in a bad way: ‘they send criminals across the border: they harass fishermen: they live in our houses,….’ ; There is peace between the Turkish and Greek Cypriots and we are free to travel between the two sides without problem. I cross my fingers that the current negotiations about a permanent settlement will come to a lasting unification agreement. As far as I am concerned, this will benefit both sides. After all, Greek and Turkish coffee taste the same! Not only the geography classifies this as a Middle Eastern country, also the culture of relationships and untimely lifestyle does remind me in many ways what Francien and I have experienced in the Gulf. They have a strong cultural link with their Greek neighbours as one can see at the Greek National flag blowing next to each Cypriot flag. The Greek Cypriots have an island mentality, very much reminding me of Kuwait which is also a kind of island surrounded by desert. They can be narrow-minded and ignorant towards any ideas from outside. Like in the Middle East, it is a culture of giving and receiving favours from the people you know: believe me, on this small island everyone ones everyone. 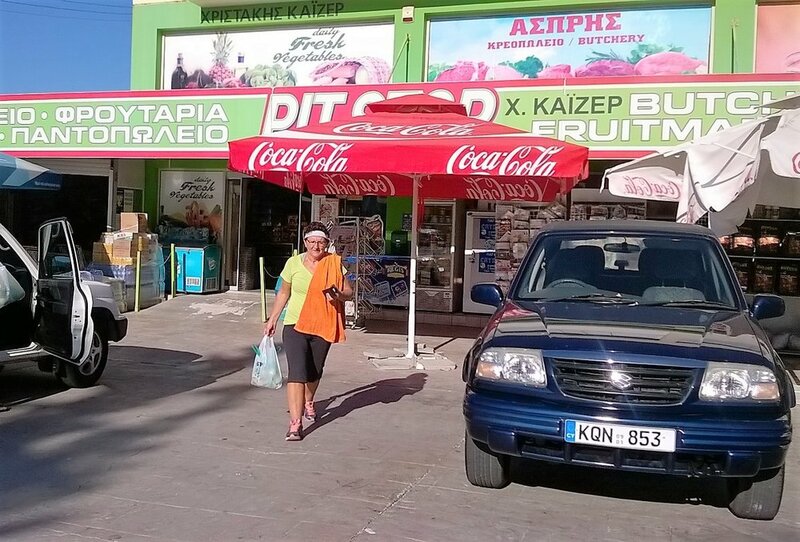 ‘If I do something good in Paphos, the town will hear about it’, a business man told me and continued, ’but if I do something wrong, the entire island will know about it’. Most people are employed in farming, shipping and tourism. Stamna family tavern in Tala. Yamas ! 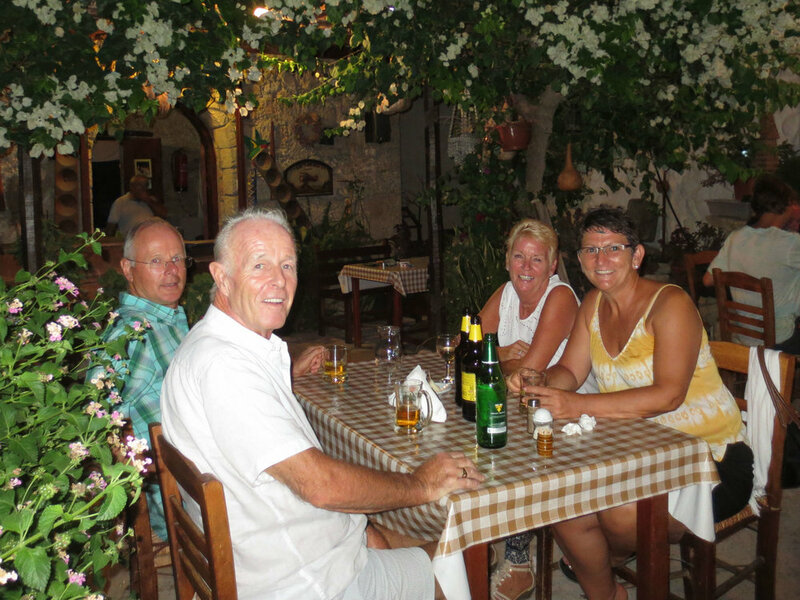 The four restaurants in our village are family owned and when we go there for a meal we are warmly welcomed with a handshake. Kalispera! It is great to see three generations of families enjoying themselves with good food and many (loud) conversations. Our neighbours give us fruit and vegetables from the fields around Tala (banana’s, oranges, mango, peach, olives, pomegranate … too many to mention here). Attending the local weddings is a jolly experience. The people are friendly, smiling and gesturing to express their emotions. In the weekends we hear the neighbours shout at each other, not as it seems quarrelling, but just having a conversation: being loud is not an offence in this country. This laid back culture and not to forget the warm climate all added up to the check list we made when looking for a place as a home base for our family. 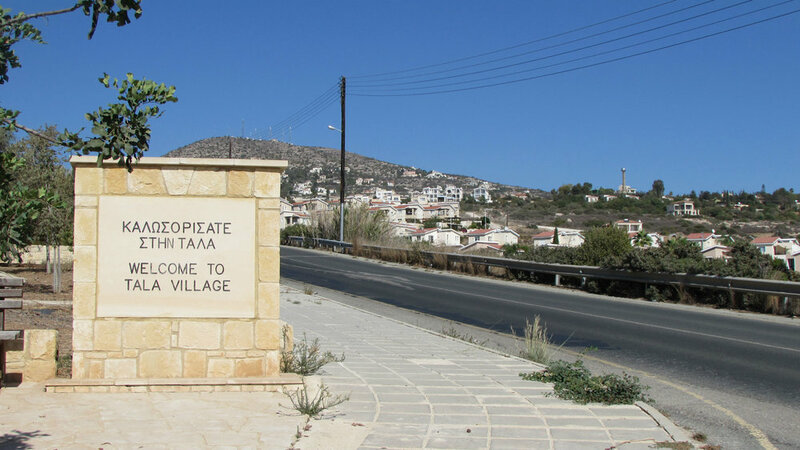 Tala is a farmer’s village (population 4000). Francien and I strolled through the narrow stone roads down to the village square and saw people sitting outside on their small veranda’s, watching TV inside their living rooms. A Sri Lankan women walks past, she is working for one of the families as a maid in the household and looking after the elderly. There are still a few decrepit remains of former Turkish houses inside our village. The Turkish inhabitants fled in 1974 to the north. The roofs are fallen in, grass growing on the crumbling stone walls and the verandas and courtyards choked with earth; a sad and vivid reminder of the past. We walked pass the kafeneion on our village square and saw men sit on wooden chairs, drinking Cypriot coffee, playing backgammon or simply watching the world go by. An old men hunched backed over his walking stick, staring at nothing in particular. I wondered what he was thinking about: the lack of rain water, the next olive harvest, the bad Turks on the other side of the Green-line cutting through this island or maybe family affairs? On the opposite site of the square the British residence watched English football in their sports bar. Most British people who permanently reside here have retired after a working life in UK, escaping the dreary UK climate and high taxes. You see them frequenting the bars/pubs, attending their quiz nights and reading their UK newspapers. Many houses feature big satellite dishes to catch UK TV programs. They visit English dentists and use UK trained maintenance services. There are few active formal expatriate (did you know this word is derived from the Latin - ex, meaning out and -patria meaning homeland?) groups like we know in Kuala Lumpur, so Francien and I needed to take the initiative ourselves to meet up with like-minded people. However, it is amazing how effective the expatriate networks work here and everywhere else in the world. 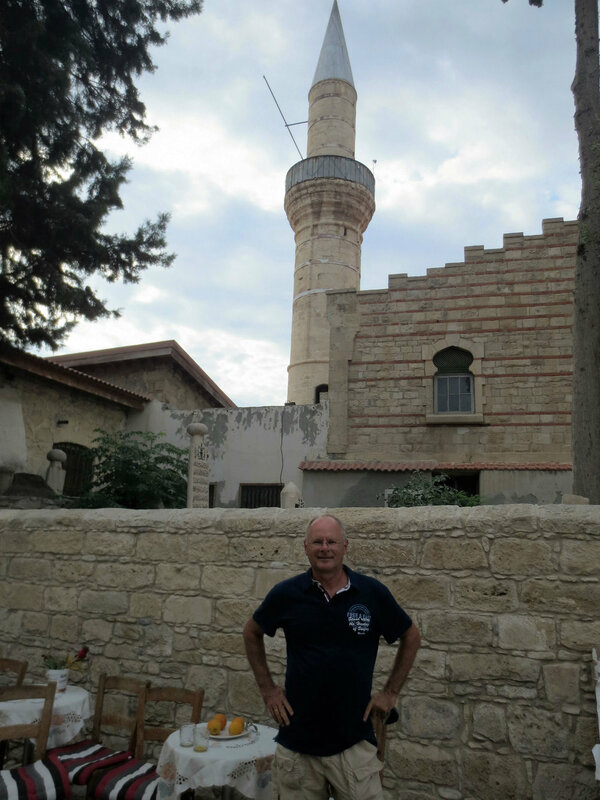 There is a small number of expatriates who worked in the Middle East and beyond who chose Cyprus to (early) retire or are in the process of doing so. Many have worked in countries we used to live in and some befriended people we also knew, thus having much in common. Friendship loops are closing and form all the time. But as we have seen time and time again, these guys tend to travel a lot, visiting elderly parents, children, grandchildren or just ravelling for fun. This makes it challenging to meet up at each other’s houses to enjoy the many informal and relaxing get-together’s, parties and dinners. Not to mention the evenings at a tavern eating meze and drinking village zivania. These different communities on the island look after themselves as we have seen in all other countries we lived. But here we do not feel like living in a social bubble – if anything much more integrated as we have ever been. We shop in the Cypriot supermarkets, dine in the Cypriot eateries, see our Russian, British, Bulgarian and Cypriot neighbours. We socialize with our Cypriot, Swiss and British (expatriate) friends. The last ten years we spent between two and four weeks a year in the summertime here, this time around three months. We love the outdoor living (thank goodness we do not need air-conditioning here in the summer as there is always a breeze coming in from the sea), spending our time on the terrace, under shaded pergolas to protect against the sun and under the open sky during the star studded summer nights. Francien never gets enough from watching spectacular sunsets! I always wear shorts, walk barefoot at home and wear flip flops outside the house. This reminds me of our outdoor lifestyle in South Africa. I enjoy regular early morning jogs along the seaside. 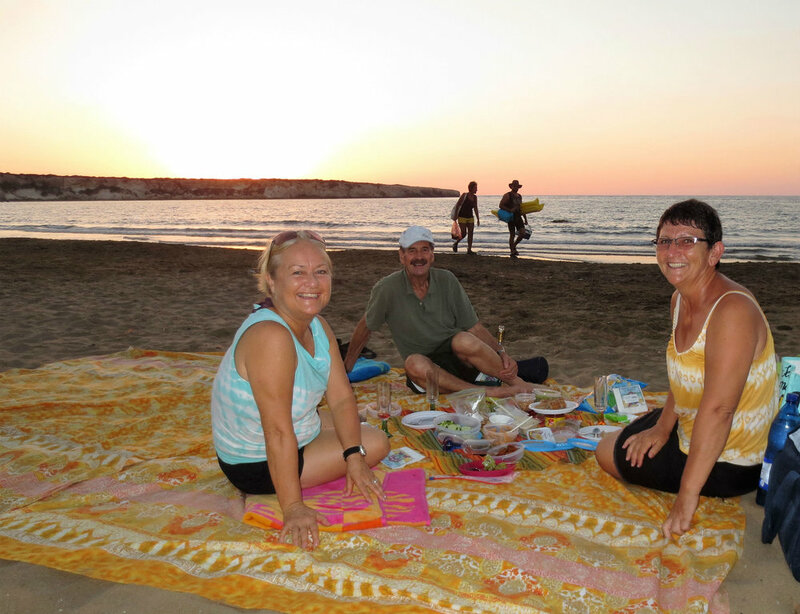 Speaking of great outdoors, Francien and I love to take friends on off-roading trips into the Akamas National Park, sitting on the turtle beaches (Green and Leatherback turtles lay their eggs here and the young hatch in September/October) and watching the sunset. The wineries in the mountains call for wine tasting trips. Even for non-archaeological buffs like us, the many ancient mosaics and ruins of Greek, Roman, Crusader and Ottoman castles and cities are impressive to say the least. Each year we read in the newspaper that new sites have been discovered and opened to the public. 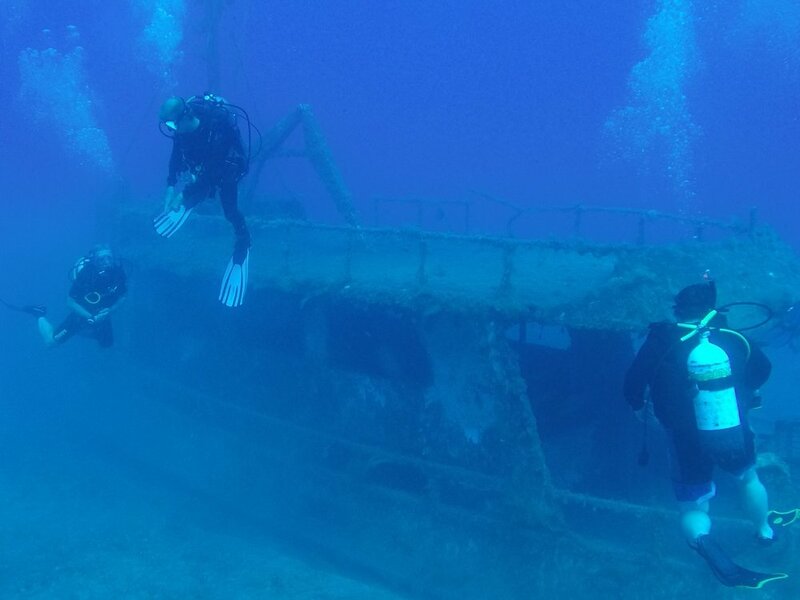 Scuba diving is not very spectacular (there is not much fish in the Mediterranean Sea! ), but a few shipwrecks were worthwhile exploring. Each time we visit, Francien and I rent a boat and spend the day on the water, water skiing, tubing and snorkelling together with friends or our daughters. But apart from all that, sitting on our terrace gazing over the sea, I love watching (cruise-) ships passing by, pleasure boats and para-sailors ploughing the dark blue waters. Twice this year we watched fire-fighting helicopters pick up water to extinguish the seasonal fires on the parched fields and forests. 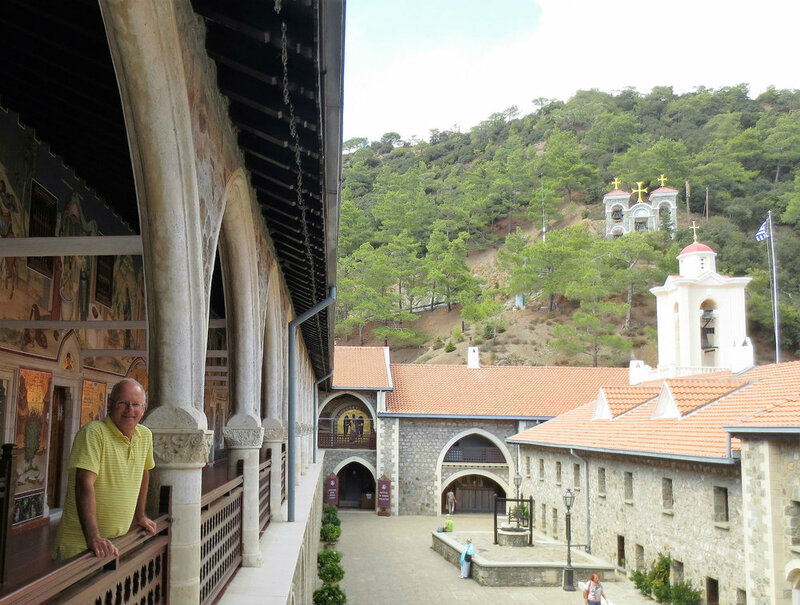 Sunday morning the chanting monks of the nearby Ayios Neofytos monastery sound so peaceful. 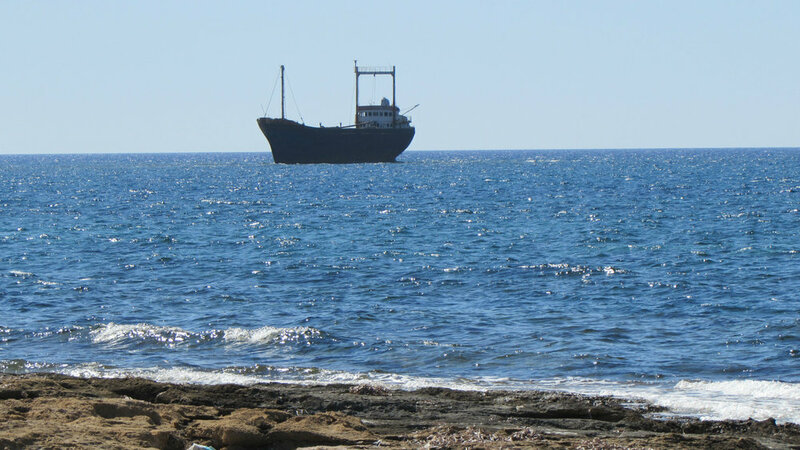 Shipwreck MV Demetrios II, landmark of the Paphos coast. Was the captain drunk when his ship hit the reef? So as for the time to get bored: forget it! If you have not switched off your computer yet, do you now understand why we chose Cyprus as our home base? In the summer this is a great place to relax, enjoy the weather, friends and good food. It was this contrast with our busy lives of travel, big city life and working schedules that drew us to this part of the world. Maybe sometime to hang permanently our hats? Not for the time being. Francien and I still want to explore much more of Asia. For now we travel back to Kuala Lumpur, but who knows what the future will hold?